Basement remodeling / finished basements have the potential to add living space, storage, and other amenities to your home. Whether you are thinking home theater, an in-law suite, a recreational game room, or something else, Golden Rule Builders has the experience and expertise to make your dream a reality! You can have a lot of fun with the aesthetics of remodeling or finishing your basement. The logistics can be a little more complicated though, as you’ve got to consider the impact of working with things like concrete floors, foundation walls, some of the home’s mechanical equipment, and the possibility of radon mitigation. We have transformed basement areas into wet bars, home gyms, , home theaters, billiard rooms, in-law suites, and more, and we can help you design and build a basement that is safe, beautiful, functional, and comfortable. In recent years, a plethora of materials have become available that offer different visual and performance qualities. Countertops, cabinets, hardware, fixtures, tile, lighting, ceiling appointments, and other materials have all gone through a renaissance of sorts, where utility and presentation are both at a peak. 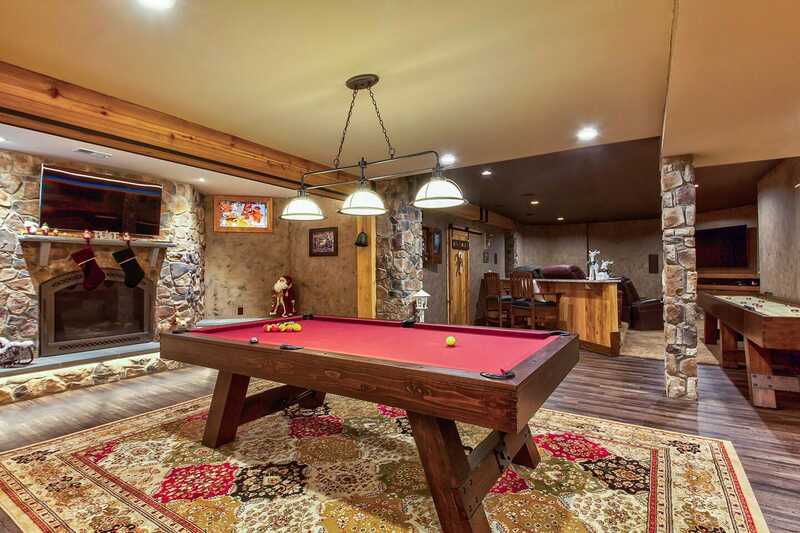 The Golden Rule Builders design team would love to help you solidify your vision for your new basement, serving as a virtual guide through the possibilities by sharing their insights and creativity. From there, our talented team of basement remodeling specialists go to work making happen. Throughout the process you and your home will be treated with care and respect, and you’ll be enjoying your beautiful new bathroom before you know it. If you are ready to learn more and take the next step toward building your ideal basement, contact Golden Rule Builders today.